Do you feel your teeth slightly porous or covered in a thin pellicle no matter how often you brush and floss? Do you notice your teeth getting progressively yellow, stained, discolored or aching? Do your gums bleed sometimes? Do they get swollen from time to time? If you answered yes to these questions, you may schedule an appointment with your dentist, as you may be in need of a teeth cleaning in Fort Lauderdale Florida session. After all, gum diseases are not something to take lightly – and unfortunately, the plaque and tartar accumulating on your teeth and below your gum line leads to that. Today, our teeth cleaning in Fort Lauderdale Florida specialists are here to tell you a few important things you need to know about this procedure. Of course, the first dramatic results you will see with your very own eyes after a teeth cleaning Fort Lauderdale FL treatment are of aesthetic nature. Your teeth will show no more spots, stains, yellow areas, discolored areas, or darker shades. There is more to teeth cleaning than just the looks of your teeth. Your periodontics specialist will make sure to remove all the plaque, tartar, toxins, and bacteria permanently damaging your teeth. One sign that you really need to clean your teeth is gum bleeding, bad breath, sensitivity to hot or cold, and tooth decay in some cases. Your immune system is trying every second to fight these damaging agents and teeth’s cleaning comes to its help. 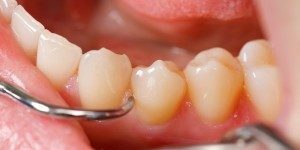 Your teeth cleaning Fort Lauderdale FL specialist will first diagnose the severity of plaque and tartar and then proceed to a thorough teeth cleaning treatment with safe and high-quality products and the latest and best equipment. What Else Should You Know about Our Services for Teeth Cleaning in Fort Lauderdale Florida? First, you should know they don’t last more than an hour. Usually, your doctor will also recommend you a teeth whitening procedure to restore your smile and make sure your dental health is pristine. We work fast to save you time and we employ the latest equipment and techniques for the best and most efficient results. We also offer all cosmetic dentistry procedures under one roof – you won’t have to deal with multiple dental offices and juggle with appointments to get one job done. We also work with professionals having almost 60 years of clinical practice in their portfolios, guaranteeing you the best services with long-lasting results.